Cholesterol clogging your arteries slows your blood flow. Cholesterol is formed in your body into lipoproteins. There are two kinds. Low-density lipoprotein, LDL, which causes all sorts of problems when it builds up, and high-density lipoprotein, HDL, which keeps our arteries open, clean and healthy. LDL takes cholesterol where it’s needed. HDL takes excess cholesterol to the liver for disposal. Problems arise when LDL builds up and stick to your artery walls, which makes it harder and harder for HDL to remove. A build up of LDL can be caused by heredity but it can also be caused from eating too much cholesterol rich foods such as meats, liver, processed foods, and saturated fats such as in butter, animal fat, shortening, palm oil, coconut oil, etc. Unsaturated fats from foods such as nuts and seeds, can promote the production of HDL or at least keep build up of LDL at a minimum. Polyunsaturated fats, from safflower, corn, soybean and sunflower oils and margarines, lower both the bad LDL and the good HDL. Monounsaturated fats, such as canola, peanut, and olive oils, only lower bad LDL leaving the good HDL intact. Cholesterol levels are a direct measure of heart disease. If you lower your serum cholesterol by 1%, you reduce your risk of heart attack by 2%. A total cholesterol count of less than 200 mg/dl (milligrams of cholesterol per deciliter of blood) is desirable. 240 and you are at twice the risk of heart attack or stroke, in between 200 and 240 and you are at an intermediate risk. Serum cholesterol tests indicate LDL and HDL counts. The lower the LDL count the better (130 mg/dl or less). HDL is different for men and women. Men should range between 40 and 50 mg/dl and women, 50 and 60 mg/dl. Anything less than 35 mg/dl may increase your risk of heart disease. Oxidation, a kind of rapidly progressing rancidity, on artery walls is caused by toxic free radicals Antioxidants are believed to neutralize these free radicals and thus fight the oxidation process. The most well know antioxidant for heart health is vitamin E. The natural whole food sources of vitamin E are olive, canola and safflower oils; sunflower seeds; wheat germ; whole grain breads, rice, cereals; green leafy vegetables and all types of fish and shell fish. Vitamin C helps vitamin E from becoming oxidized itself. These vitamins together not only fight oxidation but may also lower blood pressure. High blood pressure can damage artery walls creating rough patches that may attract plaque. Paying attention to your diet is crucial. Lower your fat intake, making sure the fats you do eat are the healthy monounsaturated. Load up on fruits and vegetables. Eat some seeds and nuts. 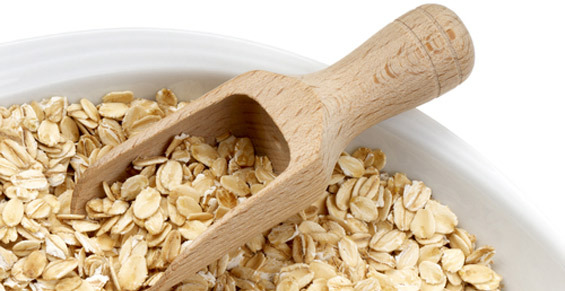 Eat plenty of fiber – soluble fiber like oats and brown rice, which blocks fat absorption in the intestines, and insoluble fiber like whole wheat foods and wheat bran, which helps fill you up and keep your weight down. Vegetal foods contain no cholesterol and are generally low in saturated fat.